In my Opinion, Honey is the best album of them(tho it's not my most favorite album), the only album that i enjoy all the songs, i don't feel there's any filler track like other albums. Rina's lyrics once again got me,i always appreciate her writing skill. And for me it's a big improvement after Yellow (my least favorite album of them) and really worth 2 years wait. After a month of listening to the album, I can stop being lazy and give my small thoughts on the album . Platform Syndrome is a really punky and fun sounding song, and the message is melancholic but uplifting at the same time. Over is definitely one of my faves, not only is it intense but the lyrics does it justice by being very mature, dark, but kinda depressing at the same time, I live it. Take me out is still beast and one of my fav songs, can never get enough of it. Oh No fits Mami very well, very punky kinda silly and interchangable. I like it, but its too much singing, need a guitar solo or something. Midnight City is cool, like the dark disco rock vibe, and Rina sounds actually good here, her drumming is super cool too, especially in the verses. Short Short is so sweet, simple and fluffy. The chorus is definitely my fav part, its like listening to clouds, marshmallows, and pillows making music lol. Ma do wo Aketara is really good, depressing, but mature, and very groovy I absolutely love it. Futari sound better on the album than on the single, didn't realized how complex and instrumental driven it was, everything about it is very cool and rocking. Electric Girl is definitely flashy and fun, its like flashback no.5, love the bass and the lead guitar riffs, and you can never say no to a Tomomi bass solo. Koisuru Universe is actually a darn good album closer, it kinda has the finale feeling to it. Great song and has one of Mami's best riffs imo. Overall I love this album, it is the only album that i like EVERY single song on lol. My only problems is that its lacking some Mami guitar solos, I think OhNo and MidCity could have used one. But there is some good riffing going on. My personal faves are definitely OVER, futari, TMO, Mado wa Aketara, Electric Girl, and KoiUni. But I seriously enjoy all of them. 3rd week of sales: ＃32 on the Billboard charts. This week's (4th) sales are out but I can't see it on Oricon, as it's below top 40 (or I don't know how to access it). mbowie4321 wrote: This week's (4th) sales are out but I can't see it on Oricon, as it's below top 40 (or I don't know how to access it). It must be below the top 50 on the Oricon Weekly Album Chart, as you need to have a paid subscription in order to see what ranks in the ＃51-300 spots (lame lol). On Billboard, HONEY dropped to ＃56 for the 4th week of sales. Yes, figured it was a subscription thing! But, based on chart position it (sales) must be in the hundreds I'd guess. Sounds like the tour is going well (based on some sell outs). The edition of Honey for Taiwan and Hong Kong will be released today and next Monday respectively. Not sure will come with any bonus (clear folder?) Probably a poster for sure. My order has arrived via DHL from AMAZON JP last night. As usual, the girls have autographed (printed, not personally!) one page with the message of kopī-shite (コピーして lit. copy / a better context is cover) to peeps who bought the score. There are also some stickers related to the HONEY theme all in red. All the songs are in standard tuning (A=440Hz) except for Short Short which is a half step down. The score is 3241円 and is available at Amazon JP. Does anyone know the Oricon March sales figure? It must be below top 50. Just curious. kudo_maharizu wrote: My order has arrived via DHL from AMAZON JP last night. Wow. Any chance I can get the band score digitally? If you're wondering if it comes in a digital version, then no, it does not. Hardcopy only. Is Rina playing the keyboard on Mado wo Aketara ? 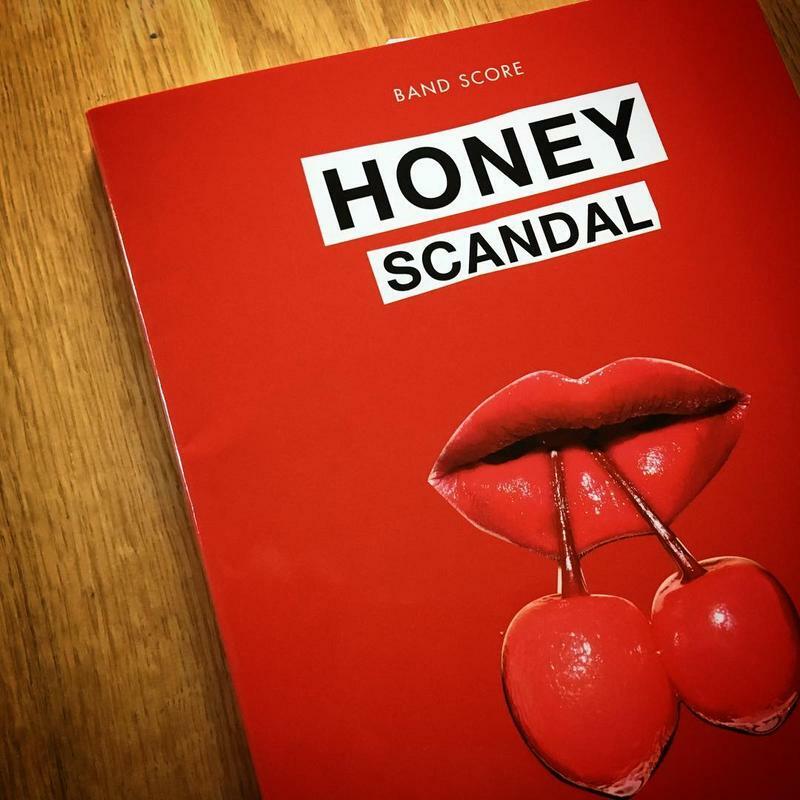 Can anyone help us to provide the latest physical sales info of Honey from Oricon? Pardon me but, I am just curious with the figures after not finding any info on the web. MamiNoodles wrote: Can anyone help us to provide the latest physical sales info of Honey from Oricon? The closest you will get is the billboard "chart insight"
Honey fell off the 100 ranking on Billboard after 5-8 weeks. spacecadet wrote: Just got mine and listened to it the first time. First impressions are that it's got some good songs, but I wish it had a few more. I do think it's a little short, especially with the songs we've already heard (some of which a long time ago now). That said, a few of the new songs really are great. I'm not as big a fan of the middle of the album as some people seem to be, but songs like "Platform Syndrome", "OVER", "Oh! No!" and "Electric Girl" sound like the band's really going for it in a way that they haven't on an album in a while. (Maybe since "Standard".) I can feel the energy. My biggest concern is the way the album's mastered and recorded. 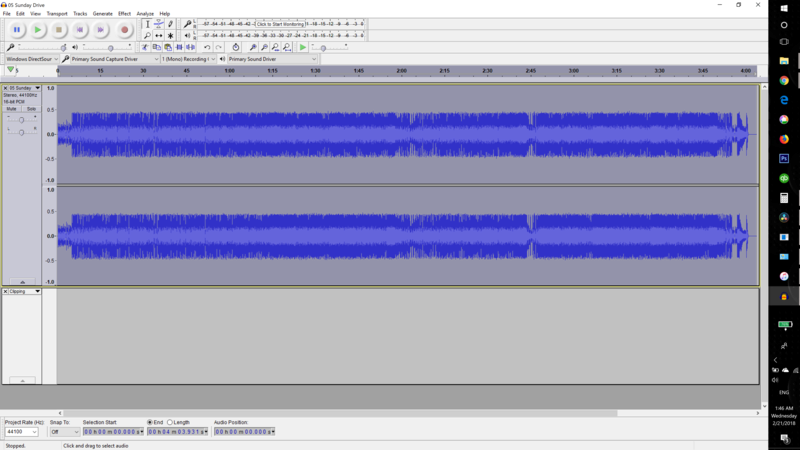 There's constant audible clipping *and* severe compression, which makes every song sound distorted. I noticed it immediately and it just never lets up. It honestly makes it harder for me to enjoy the album, and it does the music a disservice. It just doesn't *sound* good. You can see the effects of compression at the top, and the bottom is all the areas that are clipped. It's a *lot*. I cannot imagine why someone would master an album this way. It's still pretty flat, but that's kind of a normal/expected amount of compression these days, and there's no clipping. Their other albums were all similar to that. I just don't even know what to think about "Honey's" mastering. Has anybody bought the album on some format other than CD who also has Audacity? I've heard of cases with other bands where there are mastering differences between different formats. I just wonder if this is isolated to the CD or if the iTunes or Amazon versions are the same. Can anybody check? I just bought the physical CD and noticed the same thing! 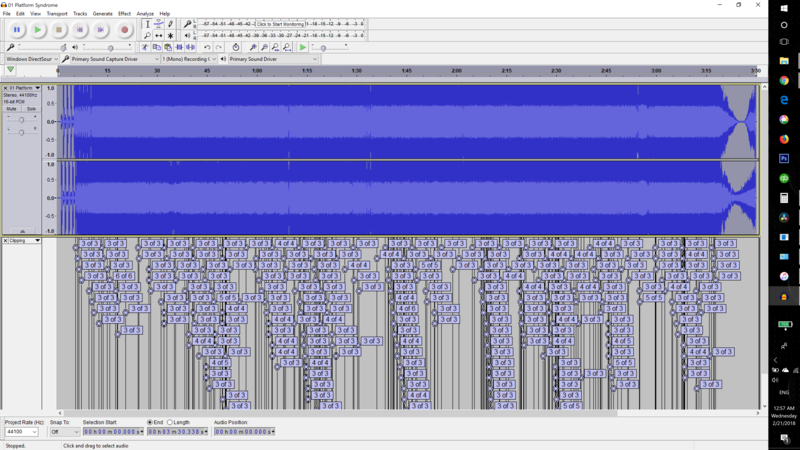 At first I thought it was my headphones or the way that I ripped the CD but after looking around at other versions of the tracks online it turns out they're all more or less the same. I'm a little disappointed because having official CD quality with artifacts/audio "fuzz"/distortion kind of takes away the enjoyment from listening to the album (at least with higher quality headphones anyways, I don't seem to have a problem with low quality headphones and speakers lol, but I was using bluetooth vs line-in headphones so I'm not sure if that makes a difference). @spacecadet @mampo Both of you are right. Most studio editions(CD/Digital) are not mastered with a high dynamic range in mind. They suffer a lot from high compression and clippling. This is available for most SCANDAL songs and a lot of other artists. I made a post some time ago about this, here https://www.scandal-heaven.com/t13672-scandal-dynamic-range-loudness-war. Here are 2 songs that I know have way less compresion https://soundcloud.com/miracleofsound/sets/audiophile-versions. Why this ? Well, one reason could be that most people listen to music in public places(streets, cars -> worse place to listen to music -|, public transportation, work, etc) with crap headphones(air pods, stock headphoens from phone box, ect) and not at home on decent to high end audio system. 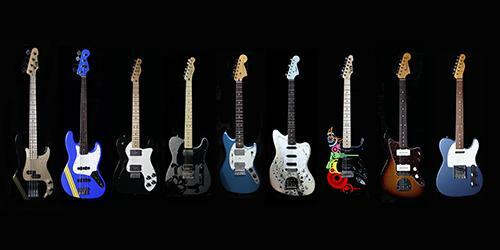 In noisy environments and/or with bad gear song's defects are hiden by the hardware or/and background noise. Meanwhile if you listen at home, in a room that is silent and use decent to high end gear you will spot some problems, like high compression. On the other hand they might want to make not so good sounding studio versions so people who want to hear the song at their best go to live shows(they make more $$$ from live shows than CD/Digital). 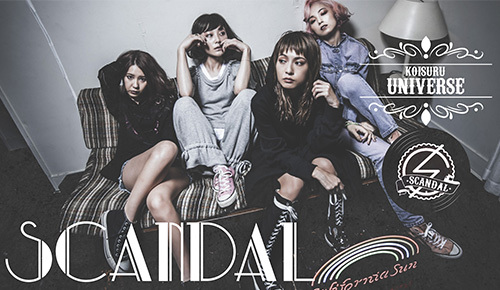 Sometimes I preffer to listen to live version of SCANDAL songs, even if the crowds noise get into them, but they sound better. But there are no good quality videos from their latest shows, like they had in the past. So MP3 studio recordings will do it. That's the only problem I have with their music, in rest is awesome. From this album I like a lot: Electric Girl, Short Short and Koisuru Universe. I am using a set of Presonus Eris E4.5 with a Cambridge Audio DacMacgic 100 and a pair of Cambridge Audio SE1 headphones . This is mostly low end studio gear, but better than most stuff from general stores. That's an excellent way to notice this, I'm listening to Honey right now. On very good speakers and a subwoofer and I own quite a bit of SACD's / DVD-Audio and know what music sound like on 24b192hz. While I know CD isn't up to that snuff, there is something just off on this CD, I still like the album but do wish these were produced better. I picked up the band score while in Japan, mostly on a whim. Though I could try and see what I could do on a piano with the score. Hi! Does anyone know if this is the CD that comes with a sticker inside? Or a chance of a signed sticker? I believe I read something like that when it came out but can't find that info. @joameba The first press regular edition comes with random sticker of one member inside. Also some random copies with stickers signed by the member. Mine comes with a Tomomi sticker but not signed. Metal Mickey wrote: @joameba The first press regular edition comes with random sticker of one member inside. Also some random copies with stickers signed by the member. Mine comes with a Tomomi sticker but not signed.